Talk a bit about yourself. What do you do professionally and what are your hobbies? 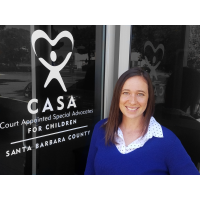 My name is Kira Farrell and I’m proud to be the Marketing and Communications Coordinator for CASA of Santa Barbara County. I manage and create our online and print advertisements, website, social media accounts, and participate in many outreach opportunities to help recruit more volunteers to advocate for children who have experienced abuse or neglect. I’ve been living in Santa Maria for three years now, I moved here right after graduating from Cal Poly. I enjoy spending my time outdoors, hiking, going to local community events, trying a new workout class, or going to concerts. How has working with CASA allowed you to get more involved in your community? Something I really value about CASA is the emphasis on community outreach and engagement. In order to serve every child, we must recruit more than 100 new volunteers each year. We’re always looking for more ways to tap into the community, whether it’s attending Chamber events, being involved with the Santa Maria Women’s Network, going to car shows or festivals, talking to local clubs or groups, or even just going in person to thank a business for a donation. There are many things to love about CASA, but I think being surrounded by a supportive staff that is driven to succeed by the mission pushes me to do my best and continue to work hard. Our volunteers step up to be a voice for our community’s most vulnerable children, and they’re some of the most dedicated volunteers around. I’m lucky that in my role at CASA, I get to celebrate and promote the successes of our volunteers, board, and staff. How are you involved in the community outside of your job? A big part of my time outside of work is dedicated to coaching cheerleading! 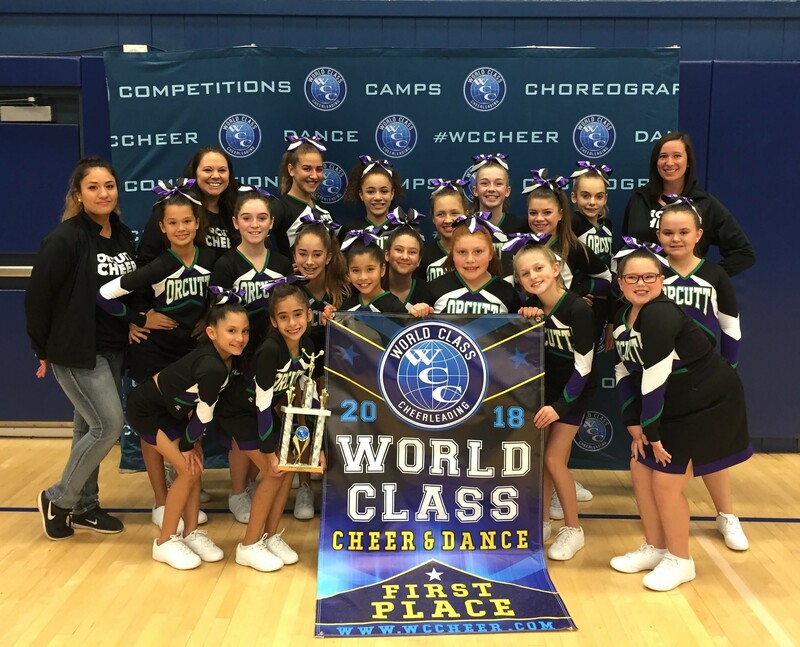 This past year, I helped coach the OYFL competitive cheer team and we won first place at every competition. Right now, I’m working on prepping a new routine for my team, C4 Cheer, which will start practicing at the end of July. I actually mix all the music and choreograph the routine, so it takes up a lot of time. Other than coaching, I try to stay involved with the Santa Maria Valley Humane Society and the YMCA, supporting their fundraising events. Why do you enjoy giving back to the community? Giving back to the community is a great way for me to meet new people and use the various skills that I have. How else would I be able to utilize the 20 years that I spent cheerleading? I also fondly remember all of the role models I had growing up who volunteered their time with me, so I always hold that close when working with others, especially my little cheerleaders. I try to remind myself that even though I’m volunteering a few hours out of my week, that time is really important to them. Why would you encourage other young professionals to get involved/give back to their local community? I think when you’re just starting out in your career, volunteering is a way to supplement your work so that you can truly do what you love. I’m very lucky that I get to work at a non-profit I would gladly volunteer for, that’s actually how I came across my job. As a young professional, volunteering is a great way to diversify your skills, expand your network, and it adds a competitive edge to any resume. What is your favorite thing about Santa Maria? Honestly, the fact that salsa is added to every meal is something I don’t think I could ever live without now! Make sure you follow CASA of Santa Barbara County on Facebook (facebook.com/sbcasa)!